In September 1998, a string of seemingly random suicides leaves Japan baffled and devastated. But a detective agency specializing in paranormal occurrences notices that there are a few glaring, disturbing similarities tying the deceptively unrelated cases together: All the victims are schoolgirls, and all of them have jumped to their deaths from atop the ancient Fujou Building, a skyscraper that is scheduled to be bulldozed soon. To investigate the cause of these disturbing events, the head of the agency, magus Touko Aozaki, dispatches Mikiya Kokutou and Shiki Ryougi. The kind and surprisingly normal Mikiya serves as a stark contrast to the cold and mysterious Shiki, who possesses the "Mystic Eyes of Death Perception": an abnormal ability which allows her to see, and bring, an end to all things. 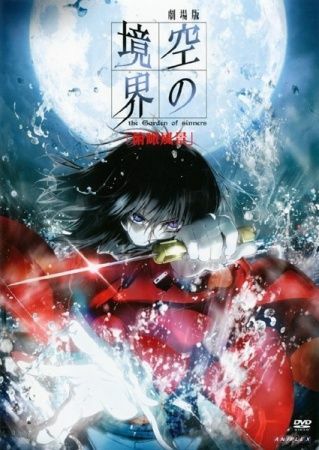 Dark and philosophical in tone, Fukan Fuukei is the first installment in the seven-part movie series Kara no Kyoukai, adapted from the light novels by Kinoko Nasu.